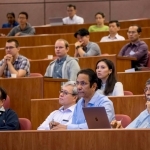 On 27 Feb 2018, NUS HiFES held her first Hybrid-integrated Flexible Electronics Annual Workshop since the launch of programme in June 2017. 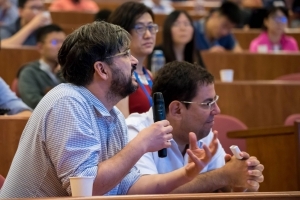 The morning workshop was open to the public, NUS staff and researchers with approximately 130 people in attendance. 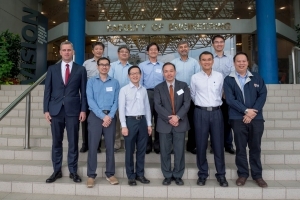 We were honoured to have the presence of Professor Chua Kee Chiang, Dean of Faculty of Engineering, Professor Teo Kie Leong, Vice Dean of Research and Technology and Professor John Thong, Head of Department of Electrical and Computer Engineering for the inaugural HiFES workshop. The workshop was officiated by Prof Aaron Thean, Director of HiFES with welcome speech. Prof Aaron brought the audience through the journey of technology evolution. He set tone for HiFES workshop by presenting the 10-year technology convergence roadmap that arises from an ever increasing need for new and smart applications and devices. 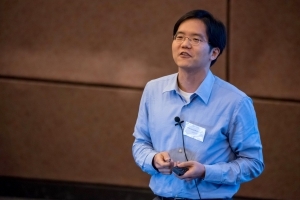 Professor Someya Takao of Department of Electrical and Electronic Engineering, University of Tokyo graced the HiFES annual workshop with his keynote talk on “Explosive Growth of Hybrid Flexible Sensors. 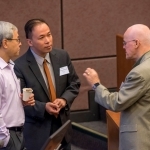 He is also NUS Global Foundries Visiting Professor. 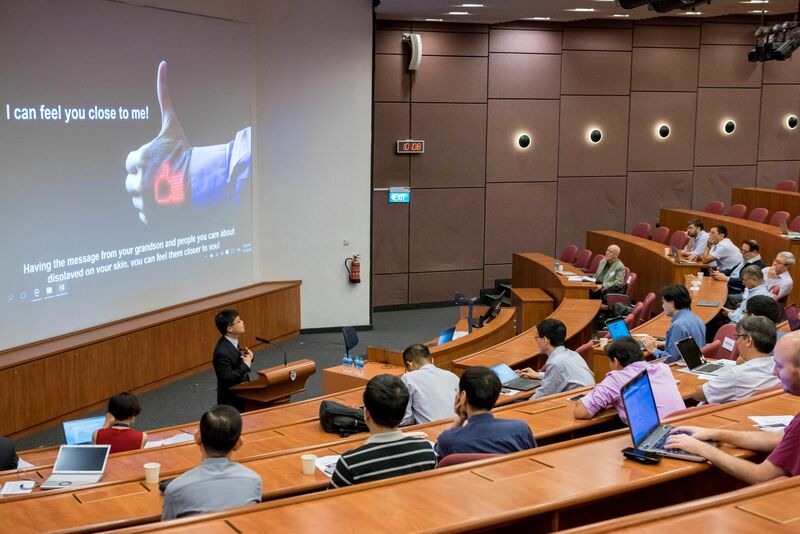 Professor Someya reviewed recent progresses of wearables, smart apparels and artificial electronic skins (E-skins) from the contexts of high-precision and long-term vital signal monitoring. He further addressed the issues and future prospect of wearables and beyond wearables. 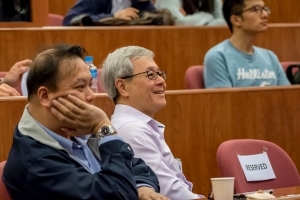 Followed on was the talk by Professor Robert Morris of NUS Yong Loo Lin School of Medicine. Professor Morris shared that the newly formed MOH Office of Healthcare Transformation (MOHT) where he has a joint appointment is test bedding new system-level innovations in healthcare with a focus on communities, primary care and hospitals. He outlined some of the innovations MOHT is pursuing and how they might be enabled by advances in sensing and health management technologies. 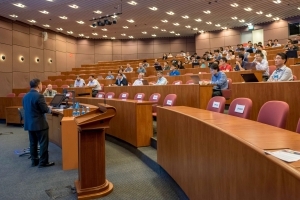 The last invited speaker for the morning session was Professor Antonio Neto, Director at the Center for Advanced 2D Materials of NUS. 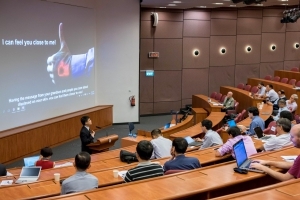 Professor Antonio reviewed some of the latest developments in graphene and 2D materials with emphasis on flexible electronics. Nitish V Thakor, Director of Singapore Institute for Neurotechnology (SINAPSE) kicked off the afternoon workshop with his talk on Bio/Neuromorphic Sensors for Biomedicine and Robotics. Professor Nitish talked about his vision of the future bidirectional human-machine interface and highlighted work done in SINAPSE. 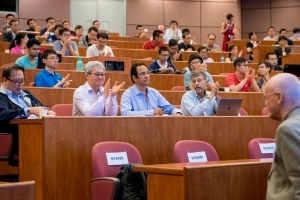 For the HiFES project review workshop, 9 hybrid flexible electronics thematic research projects spanning from devices to circuits to systems were presented by respective professors across the NUS Faculty of Engineering. The applications of the presented projects are wide ranging. Flexible-hybrid ECG patch, highly flexible and wearable microfluidic sensors for healthcare and body-area network with powering platform for wearable applications are some of the applications that would be of interest to the healthcare industry. Phased array on flexible substrates, flexible RF and antenna systems, strained Silicon-on-insulator technology, flexible energy harvesters and sensors and performance electronics on cost-effective wafers would be instrumental in enabling emerging wireless communications and biomedical and IoT applications. Professor Aaron Thean moderated the HiFES projects discussions with active participation from the attendees and partners. The goal of HiFES is to have diverse partnership to solve new problem. Industry and organizations who seek new ideas to work on project areas that we traditionally don’t work together are welcome to contact us for discussion. Takao Someya received the Ph.D. degree in electrical engineering from the University of Tokyo in 1997. 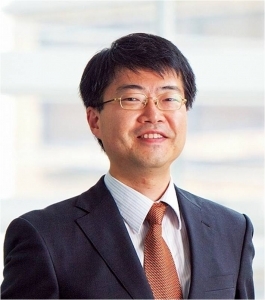 Since 2009, he has been a professor of Department of Electrical and Electronic Engineering, The University of Tokyo. 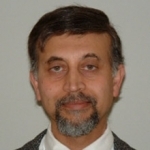 From 2001 to 2003, he worked at the Nanocenter (NSEC) of Columbia University and Bell Labs, Lucent Technologies, as a Visiting Scholar. 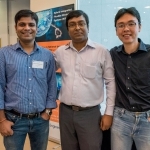 He has been Globalfoundries Visiting Professor, National University of Singapore since 2016. His current research interests include organic transistors, flexible electronics, plastic integrated circuits, large-area sensors, and plastic actuators. Prof. Someya has received a number of awards, a Japan Society for the Promotion of Science (JSPS) Prize in 2009, 2004 IEEE/ISSCC Sugano Award. Prof. Someya’s “large-area sensor array” electronic thin film was featured in Time Magazine as one of its “Best Inventions of 2005” in its November 21st, 2005 issue. 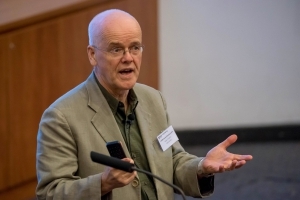 Dr. Robert JT Morris received the Australian-American Fulbright and Gowrie Fellowships, PICMET Leadership in Technology Management Award, Fellow IEEE, IBM Acad. of Technology, Government University Industry Research Roundtable (National Academies 2001-2006). 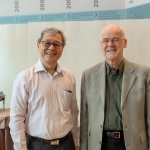 Dr. Robert Morris is now professor with the NUS Yong Loo Lin School of Medicine. 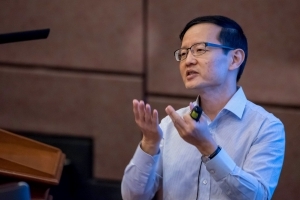 In this role he works closely with Singapore’s Ministry of Health and has an advisory role at the National Research Foundation in the Prime Minister’s Office. 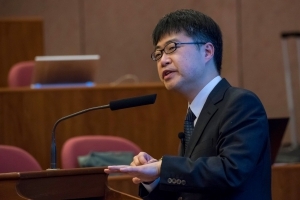 His current focus is on application of computer and information sciences, including AI, to transform healthcare. 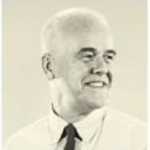 Prior to his appointment in NUS, Dr. Robert led IBM Research’s Global Laboratories, and established new laboratories in Brazil, Australia, Africa and Singapore. IBM Research earned 6 Nobel prizes, and laid the basis for the information revolution. 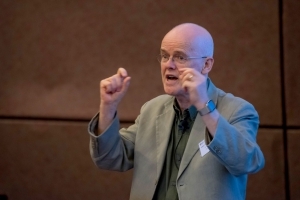 In 2010 Fortune Magazine and Money Magazine declared Robert Morris the “Smartest Scientist in Technology” in their print magazines and on the web https://ibm.biz/BdrbY4. During 2006-2011, Dr. Robert was VP Services Research, IBM TJ Watson Research Center, NY, USA, and earlier VP, Assets Innovation, IBM Global Services. 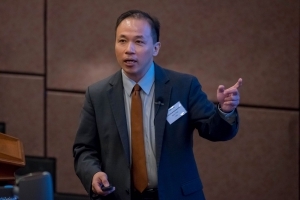 During this period he helped start IBM’s healthcare and IoT businesses which set the stage for his current role in transforming healthcare with the application of computer and information sciences. 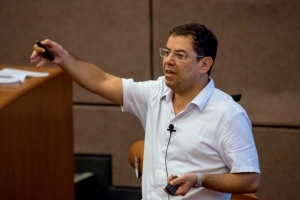 Professor Antonio Neto is currently the Director at the Center for Advanced 2D Materials of NUS. 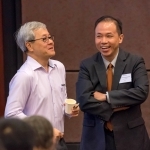 He also holds three professorships at NUS in the Department of Physics, Department of Electrical and Computer Engineering and Department of Materials Science and Engineering. Professor Antonio has published more than 280 peer reviewed articles with more than 20,000 citations.